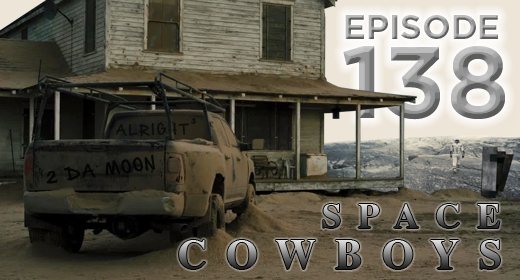 This week’s episode of the podcast is pretty much all about Interstellar, starring Matthew McConaughey and Anne Hathaway. The guys assembled to watch the film earlier in the week, and this week’s featured topic is all about the film. WARNING: THERE ARE SPOILERS! Hear the Geeks instant reaction to the film, what they liked/didn’t like, and also some scientific discussion. This is conversation you don’t want to miss! After the break, the conversation briefly shifts toward the smaller screen, as the guys discuss some of their favorite television shows currently on the air, and of all time. As always, don’t miss That’s My Jam!, and Apps of the Week! Let us know what you think of this week’s show! The JustUs Geeks are looking to do it live again very soon; here’s a great refresher of what all you’ll get when you come see JustUs Geeks Live! Matthew Wood liked this on Facebook. My question is this: if NASA was supposed to be a secret, how did they hide the ship launch from the public?